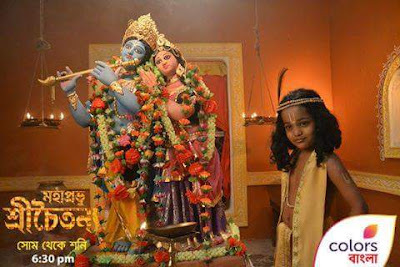 Mahaprabhu Sree Chaitanya is the new show on Colors Bangla tv channel.The show is Produced by Rana Sarkar and directed by Gopal Chakroborty, it was launched on 1 May, at the 6.30 pm slot. The show is based on the life of Mahaprabhu Sree Chaitanya. Ishaan Sadhukhan as child Mahaprabhu Sree Chaitanya.